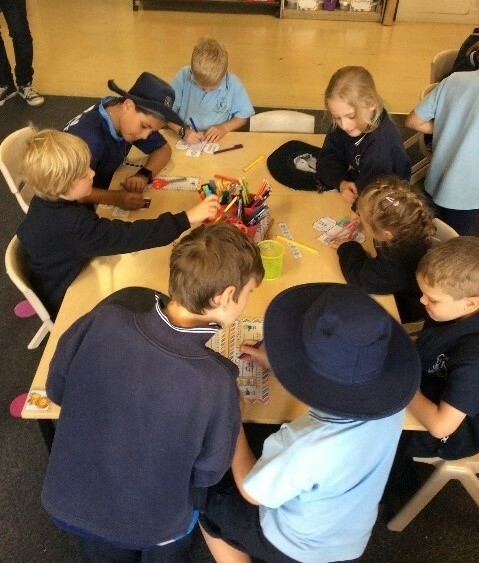 Thank you to PLE and PAP for this week’s post about the buddy program between Prep and Year 5 students. As the parent of a Year 5 student, I know the excitement around meeting your buddy is just as great for the older kids as it is for the Preps! 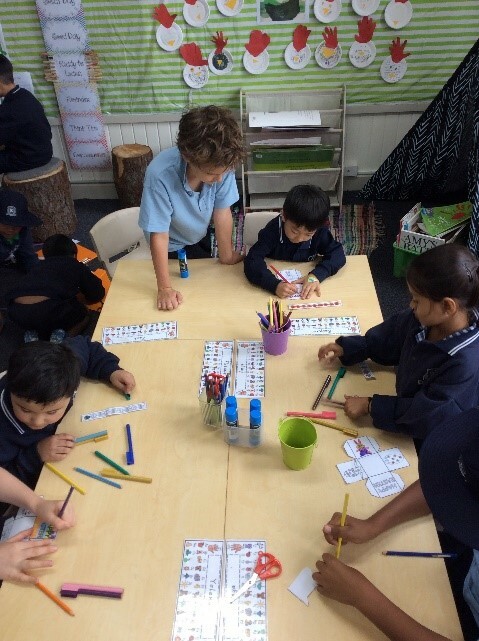 Our favourite part of school so far has been finding out our Grade 5 Buddies. School is very busy and we have a lot of work to do, so it is nice to have such a fantastic role model and friend in our buddies. Our Buddies have already helped us in so many ways. 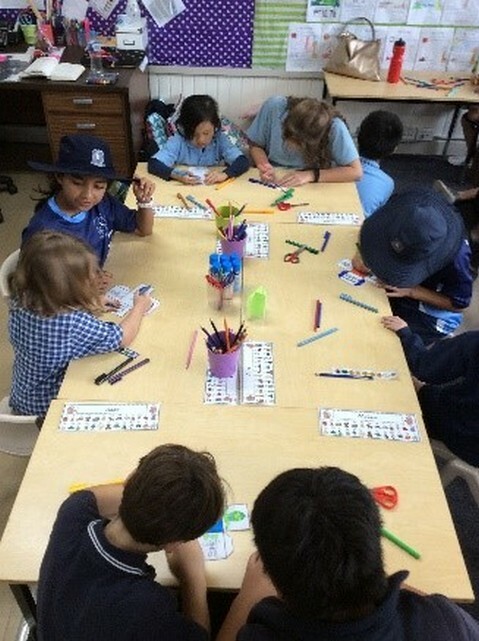 They have taught us new games out in the playground, they have helped us to cut, read and write when we have been doing activities and they have helped us make new friends in the different classes. To celebrate Easter we did the most exciting thing with our Buddies… We had an Easter Egg Hunt! Together we made beautiful baskets for our eggs and then went searching for a special surprise that the Grade 5s had hidden for us. 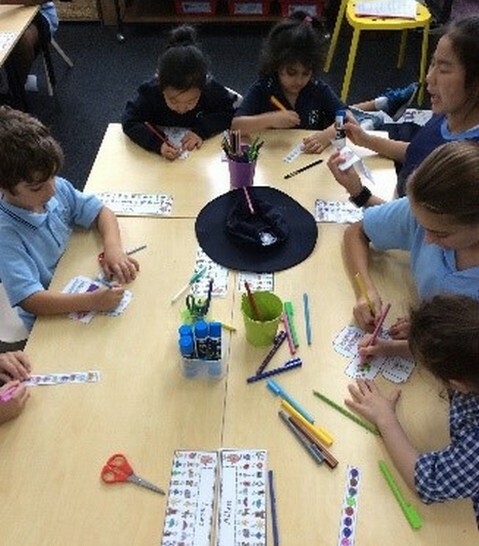 It was the best fun and such a great way to finish Term 1! This entry was posted in Students and tagged Grade 5, Prep by Kate W. Bookmark the permalink.